LAGOS, Monday, January 7, 2019:Media Rights Agenda (MRA) today condemned the military invasion, occupation and takeover of the Abuja and Maiduguri offices of Daily Trust newspaper and called on the Federal Government to take punitive action against the perpetrators in order to end the cycle of abuse of power by military officers. MRA’s statement was in response to the action of armed soldiers who on January 6, 2019, raided, occupied and sealed off the offices of the Daily Trust newspaper in Abuja and Maiduguri, the Borno State capital, and arrested the newspaper’s regional editor, Uthman Abubakar, and one of its reporters, Ibrahim Sawab in Maiduguri. The actions of the military was reportedly taken in reaction to the newspaper’s report of the same day detailing how the Nigerian military assembled troops and equipment in preparation for an operation to retake Baga and five other towns in Borno State from the militant Islamist insurgent group, Boko Haram. Nigerian Army spokesman, Sani Usman, said in a statement that the newspaper in its lead story of the day “divulged classified military information, thus undermining national security”. 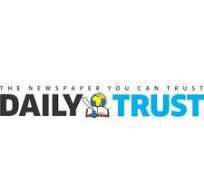 The Army also accused Daily Trust of culpability in strengthening Boko Haram with the lead story by disclosing information about the military, specifically as regards its fight against the terrorists. MRA called on the Federal Government to order a thorough investigation into the raid of the newspaper’s premises to identify the perpetrators as well as those who ordered it and prosecute them accordingly.